The foreclosure bankruptcy attorneys from Consumer Action Law Group are helping consumers in California to stop foreclosure and eliminate debt while offering free bankruptcy advice. Los Angeles, CA November 19, 2015 — Chapter 13 bankruptcy is designed to eliminate debt and to stop repossessions and foreclosure. The foreclosure bankruptcy attorneys from Consumer Action Law Group have been helping homeowners to stop foreclosure by filing bankruptcy. Bankruptcy allows homeowners to automatically stop foreclosure and also eliminate their debts such as credit cards, medical bills, personal loans, and IRS back taxes dating back for more than 3 years. Chapter 13 bankruptcy can be filed by people who want to save their home from foreclosure by entering into a repayment plan. Bankruptcy gives homeowners the opportunity to pay their debts gradually without having to sell assets such as cars and personal belongings. Chapter 13 bankruptcy provides time to them to pay back any missed mortgage or car payments over a period of 3-5 years; it is sometime referred to as a reorganization bankruptcy. There are specific rules and requirements for filing chapter 13 bankruptcy. Unlike chapter 7 bankruptcy, Chapter 13 allows debtors to continue to keep their property and repay creditors within a court-approved repayment plan that spans between 3 – 5 years. Chapter 13 bankruptcy requires that married couples or individuals qualify by proving that they have enough income to afford mortgage payments, car payments, household expenses, and payments for the plan in order to be eligible for filing. Consumer Action Law Group is home to some of the most dedicated bankruptcy attorneys Los Angeles has to offer. The attorneys at Consumer Action Law Group ensure that every bankruptcy is filed in a timely fashion in order to stop a foreclosure and save the home. They also ensure that the full benefit of the bankruptcy is obtained; and have stopped auctions within minutes of receiving a call. When it comes to filing pro-per, without the assistance of a lawyer, the mistake many individuals make is that they do not understand the laws. When filing bankruptcy, it is important to consult with the Los Angeles bankruptcy attorneys at Consumer Action Law Group. They handle bankruptcies throughout the state of California, and have helped hundreds of homeowners to stop foreclosure and get rid of their debt. 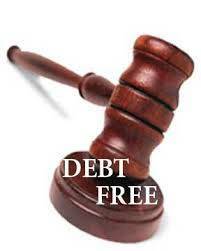 For free legal advice on how to stop foreclosure and eliminating debt call 818-254-8413 or visit http://ConsumerActionLawGroup.com.